The EPA wants us to believe they are turning over a new leaf when it comes to transparency, scheduling three public meetings this week to update Coloradans and New Mexico residents on their progress at the Superfund they established after they created the Gold King mine spill. We suspect it’s because there’s a new boss coming to town who plans to crack down on the agency’s regulatory thirst for power and hold bureaucrats responsible for creating messes instead of cleaning them. As has become the standard operating procedure, we expect EPA officials will throw out some meaningless information while stubbornly refusing to tell us anything of substance that has been done at the Gold King Mine. In all likelihood, very little is actually happening on site, but there certainly is plenty of action going on back at headquarters in Washington. We predicted before the election that a Trump presidency would shake up this government agency, which needs a good shaking and a spanking. 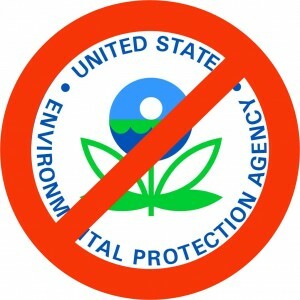 The announcement that Myron Ebell of the Libertarian think tank Competitive Enterprise Institute will lead the EPA transition team has sparked an international crying jag among environmentalists, while we are applauding with abandon. By transitioning, we can only hope that Ebell will gut it, if not eliminate their growing regulatory reach altogether. C.E.I. is the same think tank that questions outlandish climate change theories and has exposed the EPA over and over again for colluding with environmentalists to create policy, and the government’s use of secret email names to keep important documents from being exposed in Freedom of Information requests. In other words, Ebell knows where all the bodies are buried. One of the first we hope he will uncover is how the agency caused the Gold King Mine spill, and how they later tried to shift the blame, and then hold the agency accountable.